Though it has not been true for quite some time now, the notion that diesel-powered vehicles have to be some smoke-belching, soot-scattering, valve-clacking machines still insists in some circles. At the very least, some skeptics maintain, the diesel versions of today’s cars, trucks and SUVs may still be found out because of the steady clicking of engine noise diesels emit from under their hoods. But that perception changes with the diesel version of Land Rover’s Range Rover Sport. 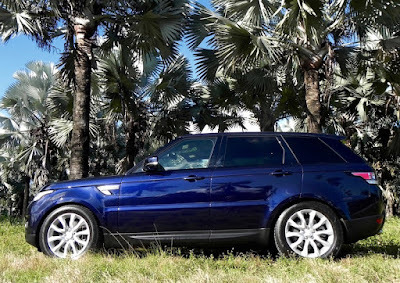 New for 2016, the Land Rover Range Rover HSE Td6 is so quiet that the car jockey who dropped it off in my driveway recently took the time to point out that it was indeed a diesel, lest I make the mistake of pulling up to the wrong pump for a refill. Nothing about this more than capable and versatile SUV hinted any of the diesel ills of the past (like the dirt, smoke, and noise). No emissions problems here. But you still get the kind of high-torque, fuel-saving performance diesels are known to deliver in a very attractive overall package. And you’ll make the trip in comfort and quiet. Except for the powertrain, the Td6 version is prettymuch like its gasoline powered cousins, including coming with an eight-speed automatic transmission. 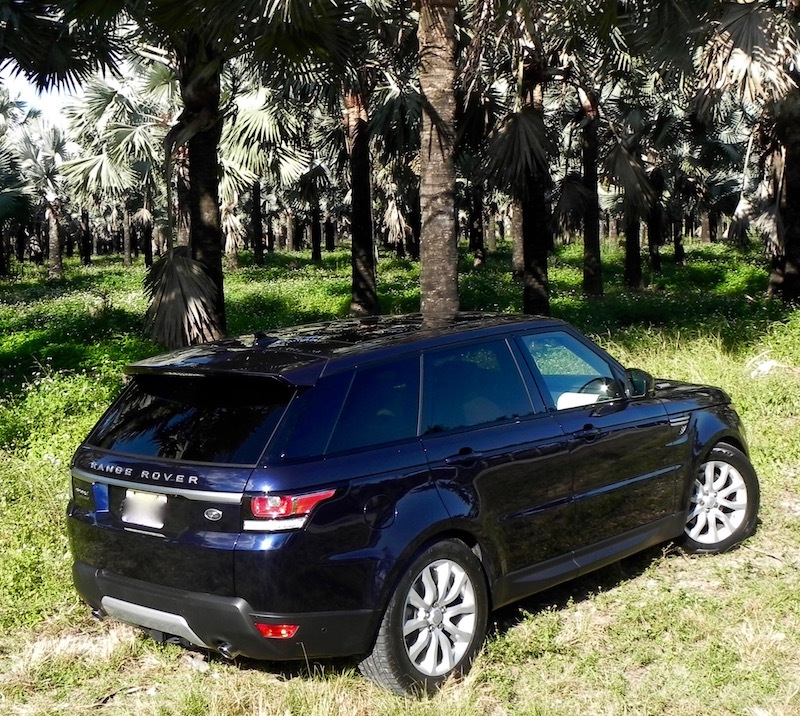 Four-wheel drive is standard, of course, and, like every Land Rover, it’s as much at home taking on off-road challenges with its two-speed transfer case as it is negotiating pavement. 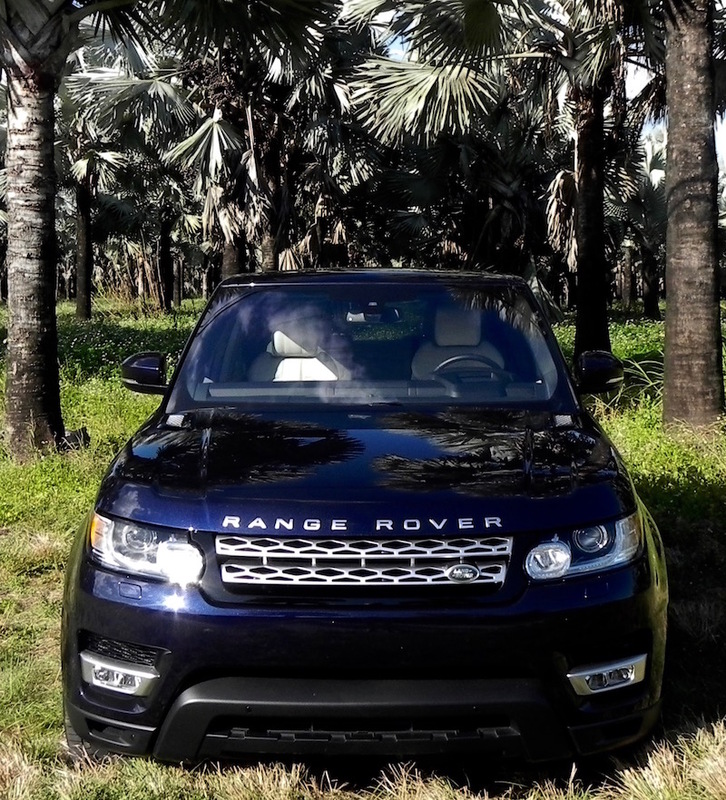 As the $72,000-plus price tag for the Td6 would indicate, the Range Rover HSE Sports falls in the luxury segment, and despite its ruggedness, it doesn’t fail to deliver there either. The cabin features high quality materials arranged in a simplistic, yet stylish manner. If anything, designers have good too far in eliminating some control knobs for the audio system, which makes changing radio stations frustrating at times, but they did have the good sense to leave knobs for adjusting the A/C. 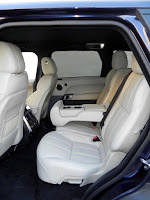 The front armrests for the driver and passenger are adjustable, and with just one or two in the back, the backseat passengers can have the convenience of a fold-down rest with two cupholders. The HSE Sport also is available with third-row seats, but not on my test model. Reviewers note they are cramped, which isn’t all that surprising. Land Rover says they are for children. 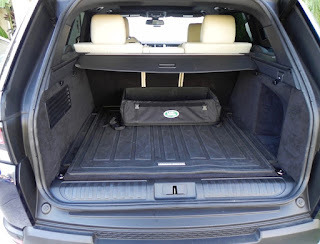 Cargo space behind the second row is 27.7 cubic feet. 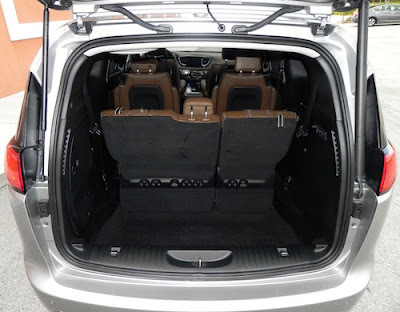 Folding them more than doubles capacity to 62.2 cubic feet, and you can access that via a power liftgate that includes a kick-to-open feature (not literally; you just wave your foot under the side of the bumper with the key somewhere on your person). 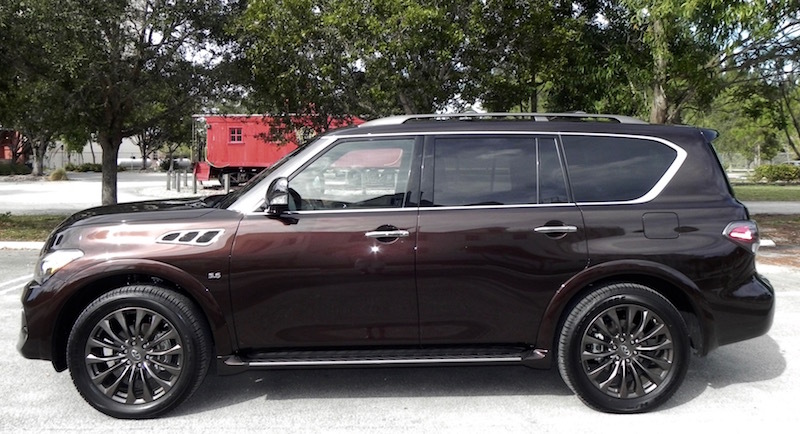 My test Sport was a 2016 model with equipment included Oxford perforated leather seats, dual zone automatic climate control, Bluetooth, front and rear parking aids, 20-inch wheels, Xenon automatic headlights with LED signature lighting, rearview camera, rain-sensing wipers, trailer stability control, lane departure warning, a sliding panoramic roof, wi-fi, premium audio, a two package, and Land Rover’s Terrain Response2 system. With the $995 destination and delivery charge, the final tab came to $72,945. So put away those doubts you may have had looking into a diesel because of the bad publicity from the scandal involving VW and falsified emission tests. You may find it’s exactly the balance of comfort, economy, and performance you’re looking for in an SUV. What I liked about the Land Rover Range Rover Sport Td6: It’s just the right size. It does the job of a bigger vehicle but handles like a smaller one. 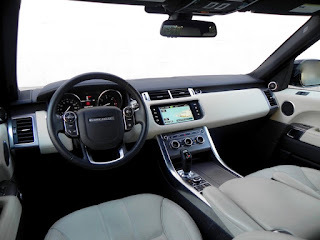 What I didn’t like about the Land Rover Range Rover Sport Td6: Operating the infotainment system can be frustrating, especially when trying to use voice-operated commands. I found it hit and miss (especially miss). It can be a little tricky getting into it, at least from the driver’s side. If you put your right foot in first and then hoist your backside into the side, you may find yourself bumping your head. So put your head in first, then step in. 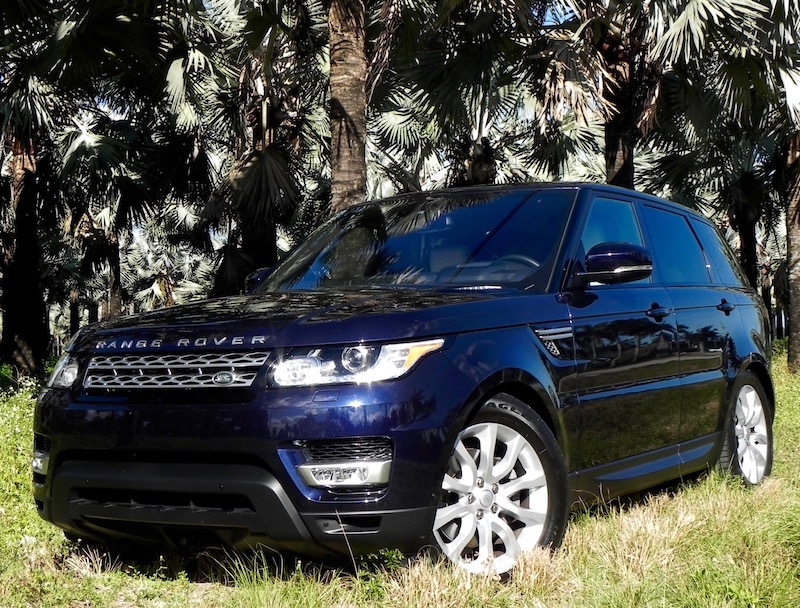 Would I buy the Land Rover Range Rover Sport Td6: Yes. FORD OFFERS ADVANCED DRIVING COURSE FOR TEENS — AND IT’S FREE! I was going to review my latest ride, a diesel-powered Land Rover Range Rover Sport, in this blog today, but Ford is sponsoring an event that is of importance to parents of teen drivers or teens who are about to become drivers that I want to let you know of. Also, I missed the notice when it came in originally so need to get to it right away. The event promotes advance driving skills for teen drivers and is open to any teen with a valid driver’s license or learning permit. It’s a stop on the 14th annual national tour and, according to the release, will focus on four key areas: hazard recognition, vehicle handling, space management, and speed management. The program will also discuss the dangers of distracted driving and offer participants the use of two special suits: the Drunk Driving Suit introduced in 2013 and the Drugged Driving Suit that debuted in 2016. Both suits are designed to stress the dangers of driving while impaired. Parents are also encouraged to attend. Two sessions are offered each day with the first running from 7:30 a.m. to noon and the second from 1-5:30 p.m. Parents are encouraged to attend with their teens as well. You can register and get more info, including dates for events in Arcadia, California, and Houston, Texas, at https://www.drivingskillsforlife.com. You should take advantage of it if you have a teen about to go out and drive. All those neat apps that can let you monitor where your teen is with your car via your smart phone are great, but they are of no help in preventing accidents. This course could be. Edwin Pope passed away at his home in Okeechobee Thursday evening. If you are a recent newcomer to South Florida, the name may not be familiar. But sports fans who grew up here or ever picked up a copy of the Miami Herald and turned to the sports page while on a visit here, as I did for many years, you know who he was. 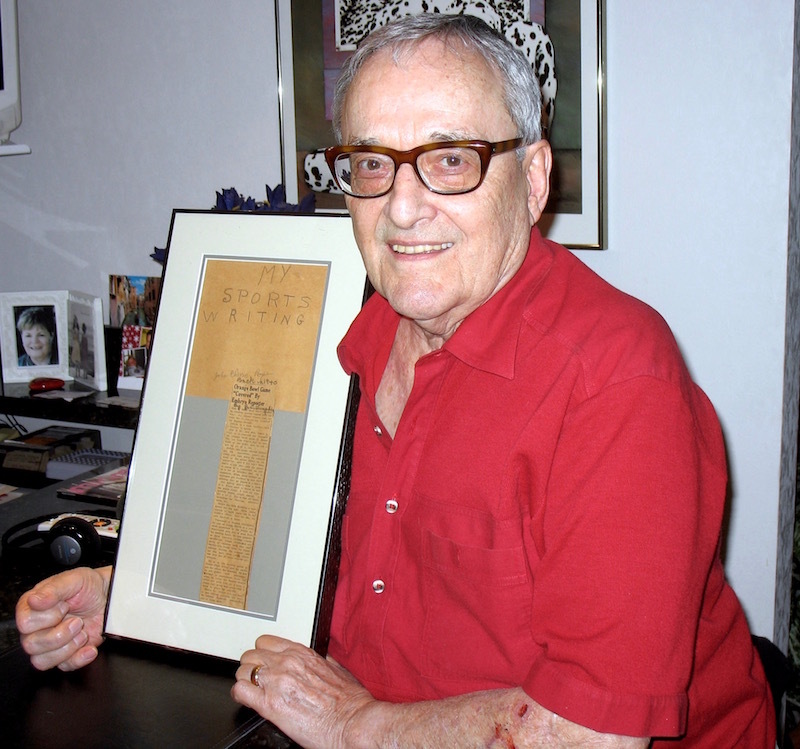 For nearly a half-century after his arrival in 1956, Edwin Pope was a fixture in the sports section with four or five columns a week, even continuing to write on occasion after his “retirement” in 2003 until health issues finally stopped him. You can read all the details of his life in sportswriter Barry Jackson’s well-written piece on the Herald’s website (www.miamiherald.com) so I won’t go deeper into them here. I’ll just add that I had the pleasure of meeting him when I was working at newspapers in Jackson, Mississippi, and Little Rock, Arkansas. It brightened my day when someone I had followed since reading him on my visits to Miami back in the early 1970s would call me by name when I saw him at a big event. After more than 60 years, the games and contests tend to blur a bit in memory. Even Super Bowls fail to stand out. But for Edwin Pope, the first Orange Bowl he ever “covered” will have a special place. The story is not what you think it might be, however. The game was played on Jan. 1, 1940, and Edwin Pope was 11 years old, growing up in Athens, Georgia. His father had just bought him a used typewriter – even at that age Pope knew how to type – and Georgia Tech was playing Missouri in the Orange Bowl. Pope turned on the radio, sat down, and began feeding sheets of paper into the typewriter. As legendary sports broadcaster Ted Husing described the action on the field, Pope began transcribing every word, “even the commercials,” he says with a chuckle today. His copy ran six single-spaced pages. “The next morning I got on my bicycle and rode it into downtown Athens for the first time, the first time I’d ever ridden all the way downtown,” Pope continues his story. “I went in and demanded to see the editor. What did I know? Finally, they actually showed me in to the editor. were common back then before sports events became major television fare. Not surprisingly, the editor really didn’t need that full an account of Georgia Tech’s 21-7 victory, but Pope thrust his papers into the editor’s hands any way. Pope still has that clipping today, framed and under a plain sheet of paper with the words “My Sports Writing” printed in pencil. “Edwin is a born reporter with a leaning to sports,” the editor wrote, and no truer words were ever uttered. From his start in Athens covering sports activities at the local YMCA, Pope has gone on to become a South Florida icon as a columnist and sports editor for the Miami Herald, where he arrived in 1956 after stints with United Press and the Atlanta Constitution. He is recognized as well as one of the most respected sports journalists in the country. Noted author James A. Michener in the foreword of a collection of Pope’s columns published in 1988 wrote that after moving to the area he became addicted to Pope’s column, which he said helped clarify his thinking of the position sports should occupy in American society. Pope officially retired from the Herald six years ago, but he continues to write 50 to 60 columns a year, mostly in the fall and winter seasons, though last spring he headed off to Augusta, Georgia, where he was among 14 journalists recognized for their service in covering at least 40 Masters golf tournaments. Pope now has covered 51. He also is one of only four writers who have covered all XLI Super Bowls – that’s 41 in real numbers. Somewhere in his home in Key Biscayne, where he lives with his wife Eileen, is a picture of Pope with the great heavyweight boxing champion Joe Louis taken of them at the airport. The fading interest in boxing and horse racing and the arrival of professional sports – pro football’s Dolphins, basketball’s Heat, baseball’s Marlins, and hockey’s Panthers – are the most significant changes in South Florida sports under Pope’s watch. But if the scene has changed, Pope hasn’t. Oh, sure. He isn’t writing as often now. He once wrote five columns a week, writing and rewriting until he had the exact phrase he wanted. He was still writing three or four columns a week when he “retired” in 2001. Now he enjoys the luxury of picking his spots. From the mid-1980s through the 1990s, I had a full-size conversion van that, looking back, was about as close to a “luxury” vehicle of any car I have ever owned. 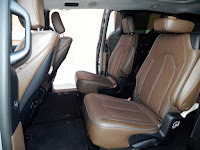 It was a Ford Econoline 150 with the conversion by Mark III of Ocala, Florida, including second-row captain’s chairs that swiveled so that you could put the removable tray table in place and play cards with the people sitting on the back bench seat. 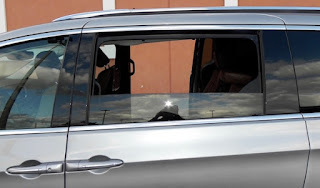 Seat covers were a velvet-like material, the floor was fully carpeted, and there was a spot in the back to place a small TV that ran off the vehicle’s electrical system and featured a built-in antenna. Luggage fit under the third row, and behind that row was a place to hang up you clothes. The side windows featured adjustable venetian blinds. It was the perfect vehicle for road trips by the sports staff of my newspaper as we covered football games around the South, and one of the guys immediately christened it the “land yacht.” It was just a bit of an exaggeration, but not by much by the standards of the day. 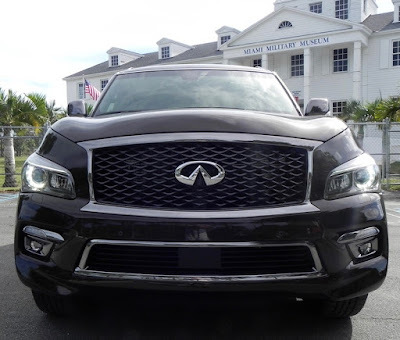 I bring it up now not as some sort of nostalgia trip but because the term “land yacht” could very well apply to the vehicle that I have been driving for the past week, the Infiniti QX80. 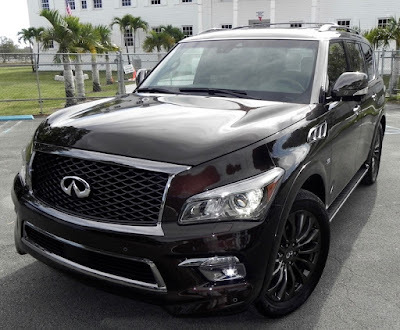 Those of you who are familiar with the alpha-numeric system Infiniti adopted for its vehicles a couple of years ago know that “QX” labels this as an SUV and the “80” marks it as the largest of such in the company portfolio. (As a reminder, sedans, coupes, and convertibles get a “Q” designation from the Japanese automaker, and the bigger the number that goes with it the bigger the car.) 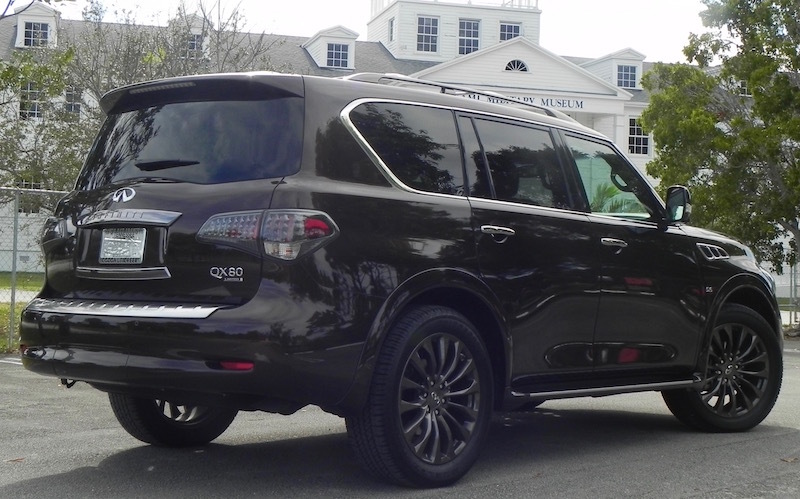 In its previous life, the QX80 was called the QX56. By any label, it is big, of “land yacht” apportions, really. But it is also more than that. A neighbor took a peek inside the one in my driveway and was wowed by the luxurious features like the abundant leather and wood inlays. 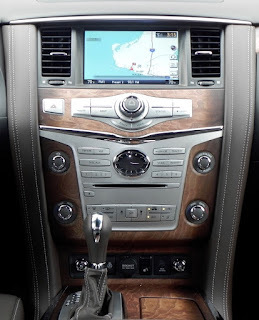 Quality of interior materials is A-plus. “Must be $100,000,” he ventured. Power comes from a 5.8-liter, V8 engine that is mated to a seven-speed automatic transmission with manual gear selection capability along with snow mode, tow mode, and hill start assist. The transmission can be set in high or low mode, the latter for more serious off-roading adventures, or put in automatic to let the vehicle decide how to distribute the power via a dial on the console. Pertinent numbers for the powertrain that is common to both Base and Limited trim are 400 horsepower and 413 pound-feet of torque. Fuel figures are 13 miles-per-gallon city, 19 highway, and 15 combined for the AWD models like the Limited but a slightly higher for RWD versions. After a week of driving mostly on city streets, the computer showed the QX80 I had to be averaging slightly over 14 mpg. The engine has enough power for comfortable cruising and passing as well as navigating traffic. The main drawback in doing routine chores is running into parking lots with spaces seemingly designed for compact cars only. 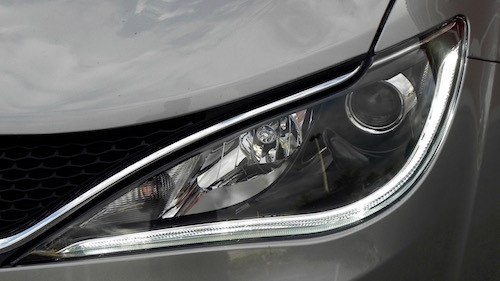 You might find yourself having to take up two spaces and just living with the glares you get from other motorists. What I liked about the 2017 Infiniti QX80: Though a big vehicle, running boards and handles on each of the A pillars making getting in and out much less of a chore than expected. In fact, it’s not really a chore at all. The second-row seats flip up to allow easy access to the third row. 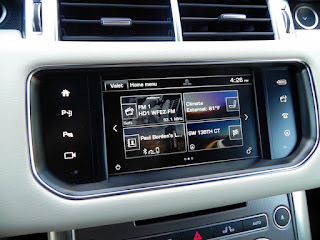 Infotainment systems are fairly intuitive to operate, though there is an extra step involved in responses to some voice commands (to change a radio station from an FM or AM channel to Sirius/XM via voice command you first change mode, then give the command to the specific channel or frequency) that seems unnecessary. 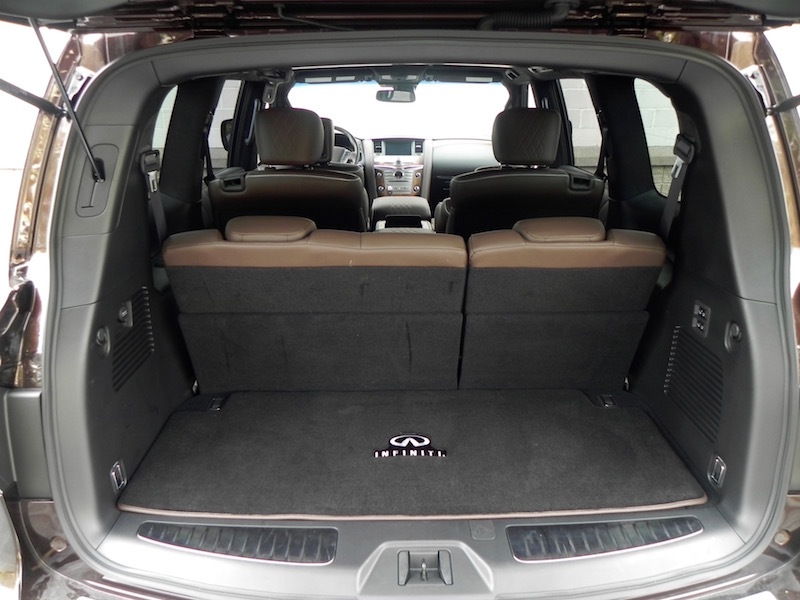 What I didn’t like about the 2017 Infiniti QX80: The third row is a bit on the cramped side for the three adults it is supposed to accommodate, and I would imagine you would hear plenty of complaints on a longer drive. But it’s what behind, or what isn’t, that third row that strikes me as a disadvantage. There is only 16.6 cubic feet of cargo space with all rows in place, which sounds like a lot but the way it is shaped is going to restrict how much is really usable. In other words, the QX80 may accommodate seven people, but it doesn’t have much room for much of the stuff they may bring with them, unless you want to put it on the roof. Would I buy the 2017 QX80: Doubtful, since I really don’t like to put up with driving such a large vehicle in city environs. But if that doesn’t bother you, this “land yacht” offers clear sailing in all other regards. In case you missed it, the North American International Auto Show, more commonly called the Detroit auto show, this week announced its selections for vehicles of the year. The new Chevy Bolt EV received Car of the Year honors. Not surprising, considering the media's infatuation with electric vehicles. And Utility Vehicle of the Year, a new category for Detroit, went to the Chrysler Pacifica. 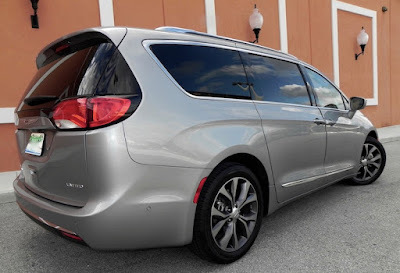 Frankly, I kind of had my doubts about that one, not because the Pacifica isn’t a fine vehicle but more because a minivan isn’t what comes to my mind when I hear the term “utility vehicle.” I think more of SUVs or Crossovers. Maybe I need to think out of the box more. The Pacifica fits as a “utility vehicle” just fine, though. It certainly is utile. It beat out a pair of SUVs, the Jaguar F-Pace and Mazda CX-9, which presumably would have been put in Truck of the Year categories in the past since Volvo’s XC90 SUV won NAIAS Truck of the Year honors in 2016. 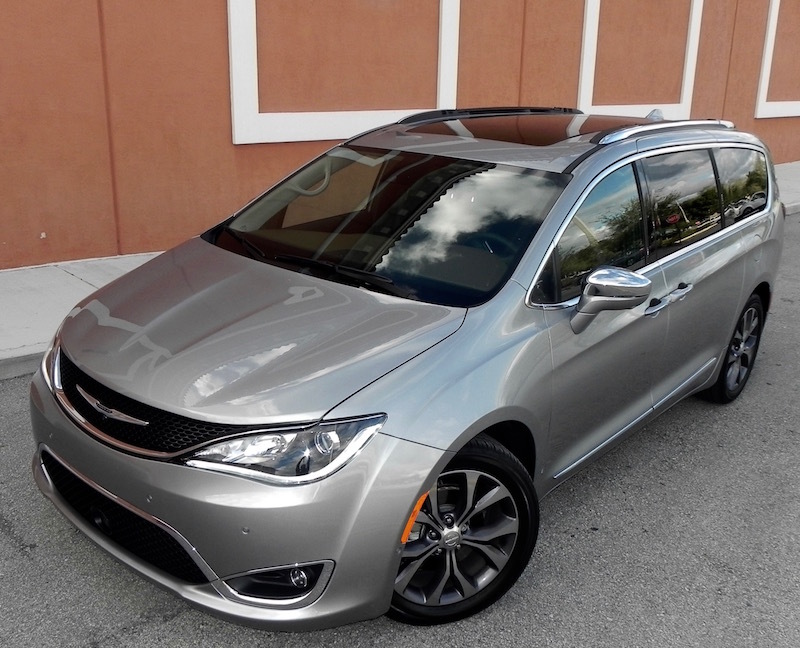 But unlike in its previous incarnation, the 2017 Pacifica is most definitely a minivan. In its first go-around from 2004-07, the Pacifica had a bit of the appearance of one of the new crossovers that were beginning to come into vogue around that time. One of the questions my boss asked me after I had driven it on a trip from South Florida to St. Louis was whether I thought it handled like a minivan or an SUV. That Pacifica may have resembled an SUV/Crossover, but that’s not the case with the new one. 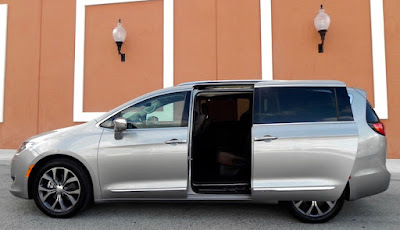 With its power sliding rear doors (on both sides) and open floor instead of a full center console between the front seats, there’s no doubt about the Pacifica’s character now. It’s definitely a minivan. 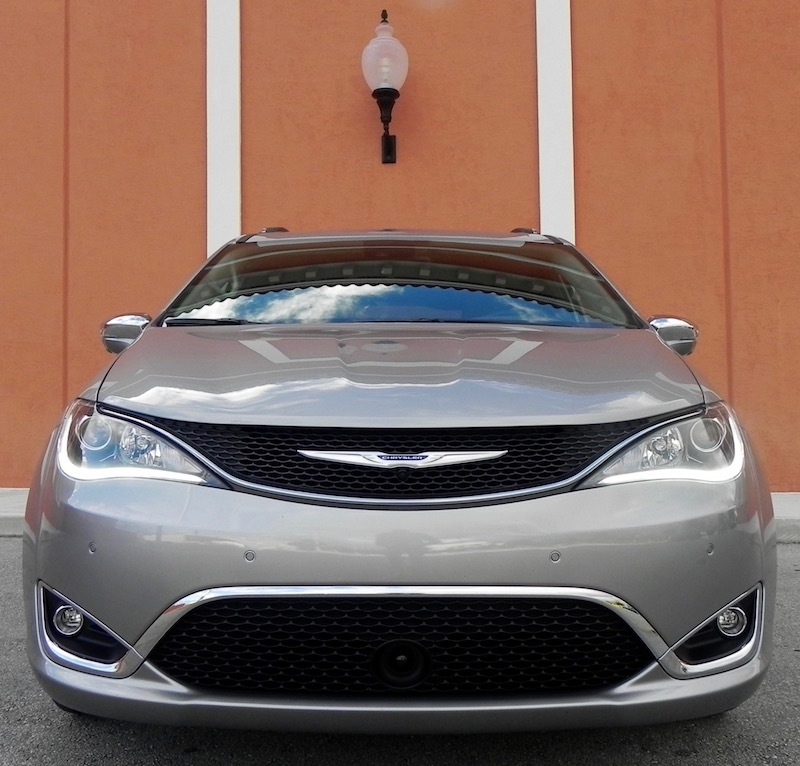 In fact, the Pacifica effectively replaces the successful and trend-setting Town & Country minivan in the Chrysler lineup. When it comes to a vehicle for family transportation, especially families of two-plus children, the minivan is hard to beat. Chrysler has provided the Pacifica with a generous room for storage behind the third row, 32.3 cubic feet, and those third-row seats fold at the push of a button to boost that capacity to 87.5 cubic feet. It comfortably seats seven in what Chrysler touts as the largest interior in the segment with passenger volume of 165 cubic feet. It comes in five trims with even the base or LX trim coming with features like Stow-’N-Go seating, an 8-way power adjust driver’s seat, rearview camera, Bluetooth, a voice-command system, and active noise cancellation for a quieter ride as standard. My top-of-the-line Limited model also had as standard leather seating, hands-free rear liftgate and sliding side doors, a panoramic sunroof, blind spot and cross traffic detection, rear park assist, keyless and remote start, UConnect infotainment system with an 8.4-inch screen for navigation, HID headlights, and 18-inch wheels. All that was included in the $42,495 MSRP. Options, including a safety package that included a 360-degree surround view camera and adaptive cruise control and a theater package that featured seat-back screens for videos, plus the $995 destination and delivery charge ran the total price tag to $48,475. That’s almost $20,000 over the MSRP for the base LX model. All trims come with a 3.6-liter Pentastar V6 engine that puts out 287 horsepower at 6400 rpm and 262 pound-feet of torque at 4000 rpm. Mated with a 9-speed automatic transmission, fuel economy is rated at 18 miles-per-gallon city, 28 highway, and 22 combined, about average for the segment. There is also a hybrid version that can be recharged via a plug-in that Chrysler says will go up to 30 miles on electric power while offering an 80 MPGe rating overall. Throttle response is pretty good for the class, and despite its capacity for hauling passengers and cargo, it doesn’t have the feel of being an overly large vehicle like you get with some full-size SUVs. There’s even a certain amount of agility about it, though I wouldn’t approach it like a performance car when in traffic. Or not in traffic, for that matter. The interior has an upscale feel about it. Despite a wealth of technological features, the dash has an uncluttered look even with a few knobs to duplicate some of the basic functions (radio, climate control) that can be operated off the touchscreen. Response to voice commands was quick as well with no unnecessary delay from a repeat of the command from the system. About the only negative I could find probably was peculiar to this particular vehicle, not common throughout the production run. 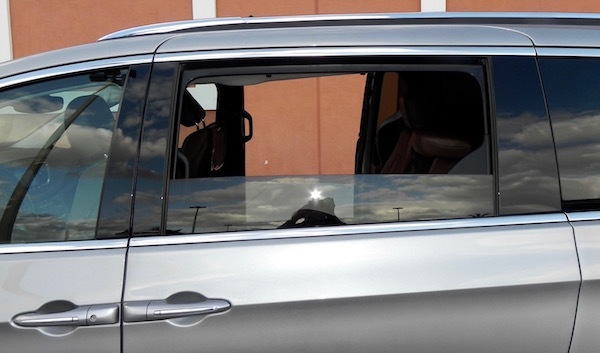 The front passenger door must have been sprung by some previous user and the bottom half would not line up flush with the sliding rear door when closed. That’s not likely to be the case on other Pacificas. 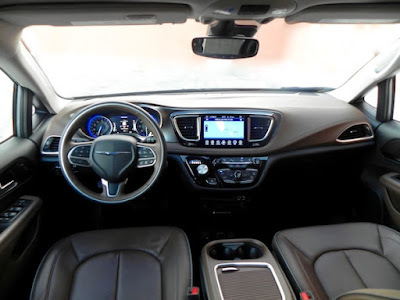 What I liked about the 2017 Chrysler Pacifica: Operating the many infotainment features on the UConnect system is a breeze, especially when compared to how many makers of more expensive cars complicate them up. No need to delve into the operating manual to learn how to change a radio station or adjust the map for the navigation scale! And you can lower the windows for the second-row seats. What I didn’t like about the 2017 Chrysler Pacifica: There’s little not to like about it, unless you just don’t like minivans. Would I buy the 2017 Chrysler Pacifica: Not at this stage of my life, no. But if I were younger (OK, much younger) and faced traveling with a bevy of energy-packed kids, I definitely would give it a look. 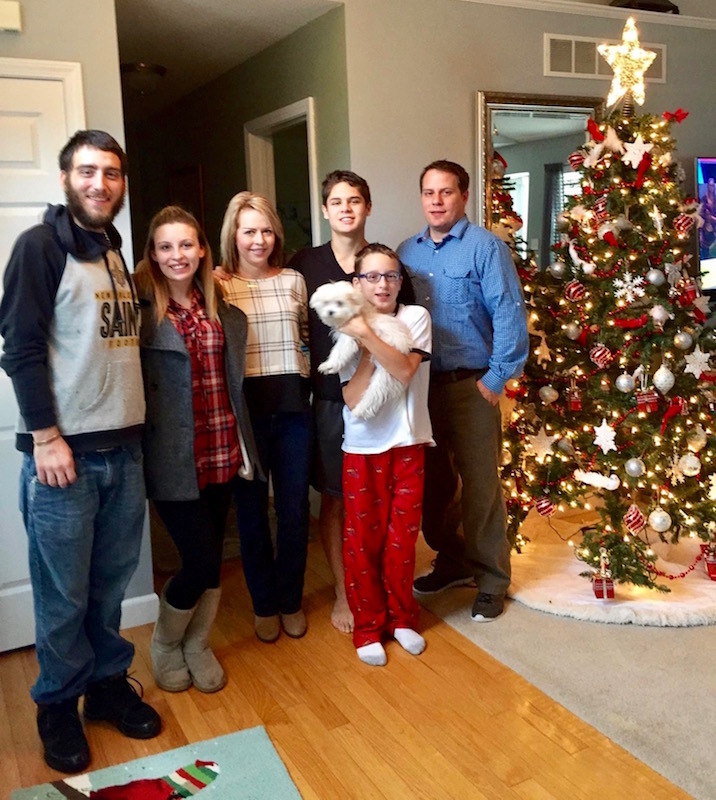 For our Christmas trip, our two oldest grandchildren, daughter and her two sons (plus their new pup), and youngest son all were together at her home in Edwardsville, Illinois. I’m not much of what you would call a “handyman” when it comes to household tasks. Anything beyond changing a light bulb can be a major challenge for me, and even that can be a pain if the bulb I’m changing happens to be the one outside by my garage door. That one involves getting out a short ladder and taking off a cover. Oh, the humanity! But after getting back home from a trip north for Christmas (I’m thawed out now, thank you very much), I decided to take on the chore of re-caulking the shower/tubs in our two upstairs bathrooms. I vaguely remember doing this on the tub for the master bath, but not sure about the one in the other. But if it was done by the builder, he sure did a sloppy job of it. So maybe it was me. Anyway, with my basketball coverage at a lull this past week and no car review to write until next week, I figured this was as good as time as any to take on the task. I figured one day, maybe three total, for each. First, I made a run to Home Depot for caulking and anything else I might need. Long ago I used to have a caulking gun, but I have no idea what became of it. Probably rusted away. Fortunately, caulking is available in tubes now similar to toothpaste, except you have to cut the ends off at a 45-degree angle. I wasn’t sure how many to get, so I picked up three. They’re not expensive. Upon returning home, I gathered up the necessary tools. Luckily, save for an extra razor blade that would have come in handy, I had pretty much what I needed. Upon hitting the guest bathroom first (I figured that would serve as a tuneup before getting to the master bath), I started removing the old caulking. I wasn’t more than five or ten minutes into that before a thought it me: This is going to take a while. To make sure there wasn’t some easy way of accomplishing this that I was overlooking, I went to my laptop and searched Youtube for a video on removing old caulking. Alas, there was no secret way, but I did run across something called caulk remover. An aside here: This second trip turned out to be my last. I’m quite proud that I could gather everything I needed in just two trips to the Home Depot! Take that, Russ! The caulk remover did seem to help, but I still spent the rest of the afternoon chipping away at the old caulking. At one point I happened to go downstairs and my wife asked if I was finished yet. Been married going on 49 years and I didn’t realize she could be so sarcastic. I could see that my estimate of one day for each of the bathrooms was going to be seriously off. Of course, it might have helped if I had gotten an earlier start, but I’m not a morning person. Afternoon and late nights seem to be when I do most of my writing, and apparently it’s the same with other chores with me. One complicating factor in the guest bathroom was a hole in the wallboard between along one of the edges of the tub. It would take more than caulking to fill that, so I was working with Dap wallboard compound to fill it, which was kind of messy. So much for the first day. 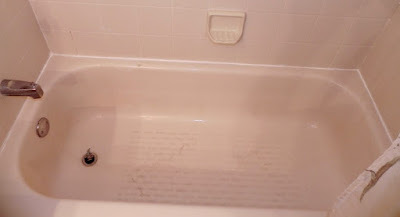 I had to leave the Dap to dry, of course, so it wasn’t until the next afternoon (Friday) that I got around to actually putting in the new caulking around the other tub edges. That went surprisingly well. The Youtube video had mentioned wetting a finger to smooth out the caulking, and one of the viewers had mentioned that it wasn’t a good idea to use a bare finger because it would leave bacteria or something that eventually would work its way through the caulking. So I used examination gloves to do that. I just wish I would have put one on my left hand as well as my right. I didn’t because I didn’t think I would be getting any excess caulking on my left. Wrong again! There was one other spot at the tap end where the separating between tub and tile was such that more Dap was needed to fill in, so I couldn’t caulk that area until Saturday. Which I did earlier today. Success! So the project actually extended over a three-day span. It looks pretty good, too, at least my standards. Just don’t look too close. But I still have the master bath to do. When I get the energy.